If every sketch of jewelry in these books came to life there would be bling for the entire planet. 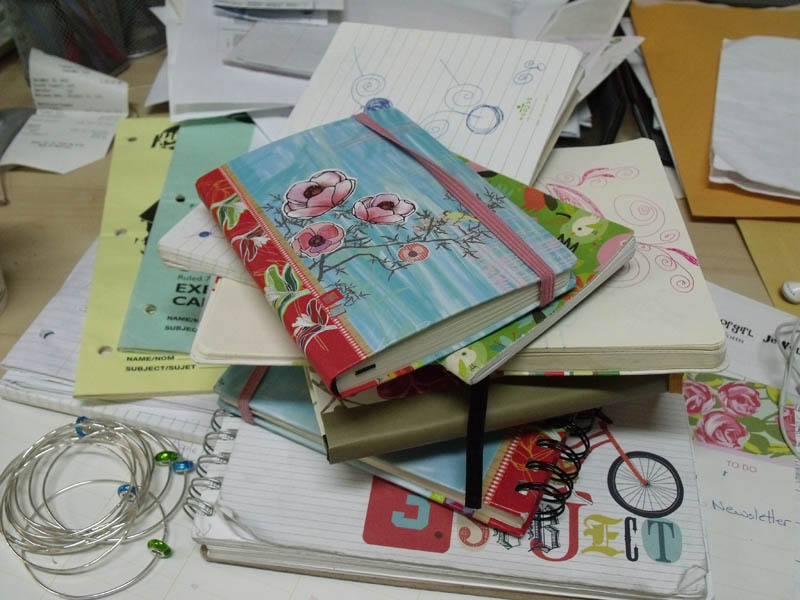 And these are just the notebooks that I carry around with me daily (which might explain why my “purse” is a knapsack). I have 2 bookshelves stuffed with filled notebooks. What’s amusing is that I keep having the same ideas over and over. I found some designs from 2 years ago that I had just finished doodling out last week. Maybe I should stop doodling and start making. Just a thought.